The Tony Elumelu Foundation Entrepreneurship Programme – TEEP – to offer 10,000 aspiring African Entrepreneurs an opportunity to benefit from $100 million grant to create 1,000,000 jobs and contribute $10 billion in annual revenues to Africa’s economy over the next 10 years. This opportunity is open to all citizens (18 and above) and legal residents of all African countries with businesses that operate in Africa. 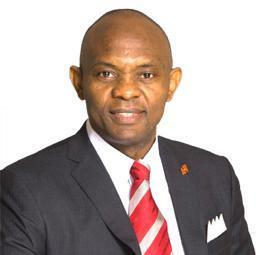 Nigerian billionaire investor and philanthropist Tony Elumelu has committed $100 million to create 10,000 entrepreneurs across Africa over the next 10 years. Elumelu made the commitment on Monday during a press conference in Lagos to announce the launch of The Tony Elumelu Foundation Entrepreneurship Programme (TEEP). More details about the program, including eligibility and the application and selection processes are available on the Tony Elumelu Foundation website (CLICK HERE).